History tells us that Edison had 10,000 failed tries before inventing the electric bulb. 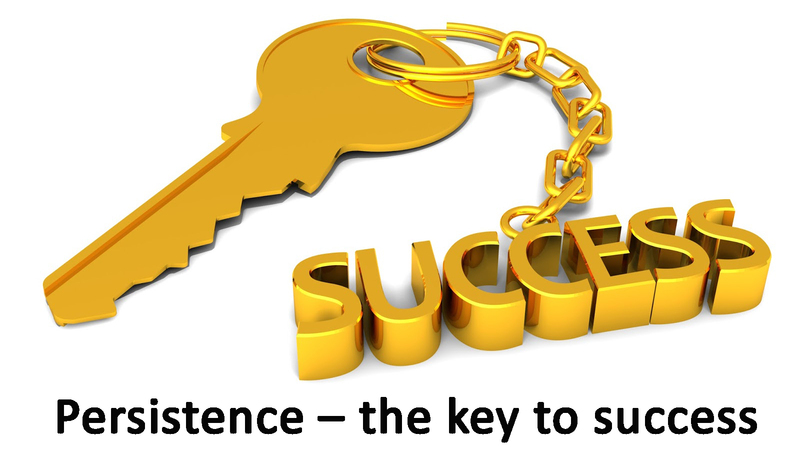 Among all the ingredients that we possess, persistence the key to work success. You can see persistence everywhere you look, even in the work that you do. In the workplace. We seem to forget that quality. It is easy to get discouraged when we continually try and don’t seem to get the results. Yet if you closely observe those who succeed at work and are passionate about what they do, persistence is the key.